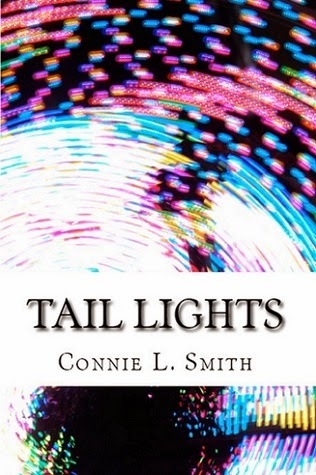 Today, not only do we have an amazing excerpt from Enscrolled (The Division Chronicles #3) by Connie L. Smith, we also have a sneak peek from Smith's upcoming NA romance, Tail Lights! Check out both below and head over to Goodreads for a chance to win a copy of Essenced (The Division Chronicles Book #1)! “In the aftermath of the latest battle, the stakes are higher than ever before, time hardly an ally to Nicholai’s army of paranormal soldiers. The Tomes remain hidden, and the clock is ticking for the Essenced tainted with the demon’s incurable toxin. And beyond those worries, reason exists to suspect that magic might be vanishing, a twist that could insurmountably cripple the army’s capabilities prior to the war’s conclusion. Her grin lingered until her attention descended to his leg, the spot of the poison’s initial contact. 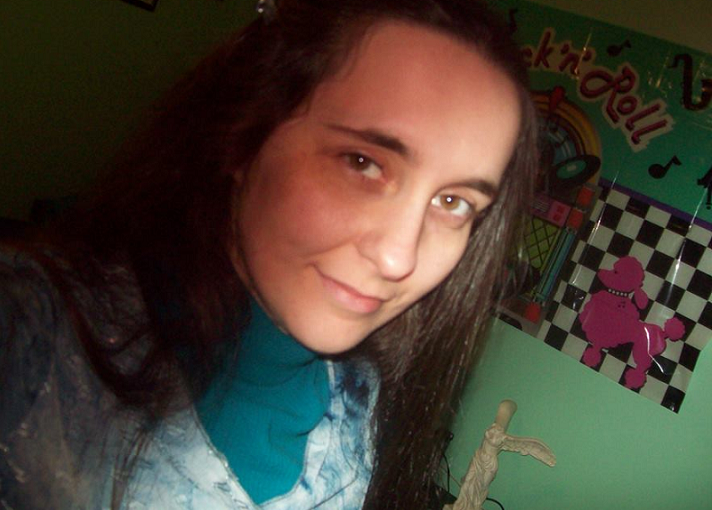 Then she frowned, her eyes filling with tears and her hands beginning to tremble. Just ten days, she thought. “Hey.” Johnny cupped her face, gentling bringing her gaze to lock with his. For over a year now, The Division Chronicles series has been a huge part of my life. I’ve learned so much through writing and publishing this trilogy, and my mind is already trying to come up with a new plotline so I don’t have to say a permanent goodbye to some of these characters. Of course, I’m willing to write short stories and things about them, but my brain seems reluctant to let go of the notion that one day I’ll be penning a brand new novel with some of the angelic characters involved. It’s not out of the realm of possibility. But whether or not any spin-offs happen, the fact is that “the end” has officially been typed for the final book. And with the release of this book, I’m looking forward to upcoming projects. Two that you can expect within the approaching months are very different from this Division series, and I’m eager/nervous to see how things play out in the future. So along with promoting Enscrolled, I’d like to offer a look at one of these projects – a NA Romance that involves a rock star girl and an ex-military guy. Before I do, I’ll take a sentence or two to let you know that I’m doing a giveaway through Goodreads where you can win a copy of the first book of The Division Chronicles: HERE. Please, please give it a chance! And now, have a sneak peek of Tail Lights, which should be released sometime in November of this year. You can add it to your Goodreads to-read list HERE. And I knew then that he wouldn’t listen, because he’d decided on the facts without giving me the benefit of any existing doubt. He’d given up on us. On me. Just like nearly everyone else, he’d latched on to his assumptions, because I wasn’t worth fighting for. I sucked in a breath in shock that he would be so brutal. He knew my history, and I’d confided in him countless times concerning the grudges so many members of my family held against me for things I’d never done. I’d talked to my older brother about those frustrating relationships as well – my one blood relative that loved me, that I could depend on – but I’d never given anyone as much of me, in this situation or any other, as I’d offered Nick. And he turned that trust against me? He was already backing toward his truck, but his gaze lingered on my face. Each step drove the reality of the situation into clearer focus, that what we had was really ending. That he’d believed a lie someone told him over my assurances, and was tossing me aside like I never mattered. But he didn’t. He pulled out of the driveway and sped into the distance. And I stared from the middle of the road – the spot where I’d surrendered the chase – with my mouth open and my eyes wide, watching his tail lights fade into the mass of water falling from the sky. I wiped my face with both of my hands, then looked at my drenched palms in resignation and sorrow. Tears, rain. What was the difference? For more about Enscrolled check out these sites! 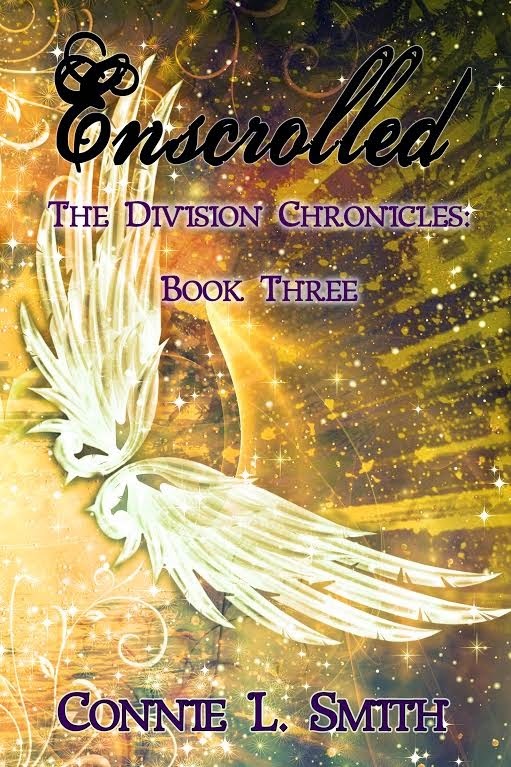 Win a copy of Essenced (The Division Chronicles #1) HERE!